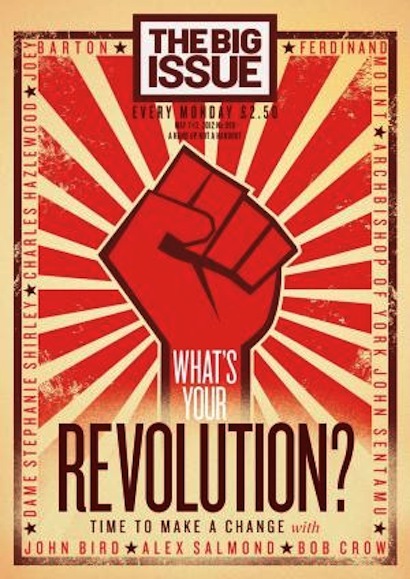 In the past year, the Big Issue has changed dramatically, regaining its reputation as a “magazine with teeth”, according to editor Paul McNamee. The Big Issue has seen big changes since it teamed up with Dennis Publishing. With editorial now run from Glasgow and one national edition of the magazine, McNamee concentrated on “the four Cs”, cover, content, columnists and community, to give the magazine some bite. He told delegates: “The cover was the most important. [A bold cover] could attract a lot of attention and make a lot of noise. Along with enlisting footballer Joey Barton as a columnist and strengthening the magazine’s relationship with its vendors, McNamee said he believed the end product is something which will stand the test of time. This entry was posted in Events, Magazines and tagged #ppaconf, columnists, community, conference, covers, engagement, event, Joey Barton, London, magazine, Paul McNamee, relaunch, The Big Issue, vendors on May 10, 2012 by Elena Cresci.